Are these not the most beautiful boots you've ever laid eyes on? Pointed toe, block heel, and leopard print?! Pretty much all I ask for in a shoe, and what's more is they are unbelievably comfortable! 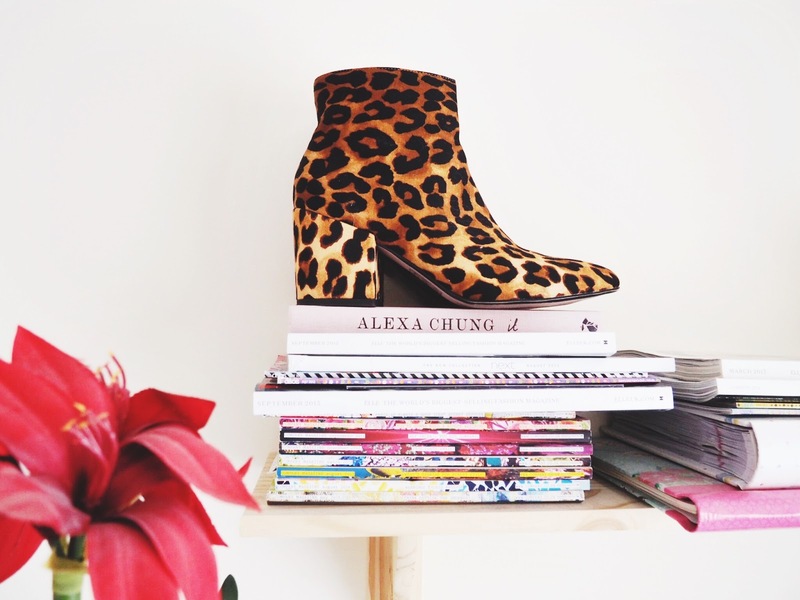 For years now I've been on the hunt for the perfect pair of leopard boots, and after a rather long search, I've finally found them in the form of these ASOS babes. Unfortunately, they've sold out now (twice), so you may not be able to get your mits on them, but these boots come in a wide range of colours, patterns and fabrics, all of which I'll link below along with some others similar to these!